WanderMan: Decision Time - Satellite, Broadcast TV, Internet TV, All or Something Else? Decision Time - Satellite, Broadcast TV, Internet TV, All or Something Else? I was lucky enough to have a folding satellite dish already installed on my RV when I purchased it. After I bought a satellite receiver and connected it all up, it worked great for a while. Then the satellite company updated its receivers and mine was no longer supported. At that point, I bought an HDTV decoder to receive over-the-air- broadcasts and also had installed my digital media player system so I could watch prerecorded material on memory sticks or extermal USB drives. So, I really didn't need the satellite system. Well, I still have the dish on the roof, and I like everything to work, but have a hard decision to make. Satellite Receiver, DVD/Blu-Ray and Extra PureSine Inverter. You see, in order to get my satellite TV back online, I have to buy a new receiver, change the dish if I want HD programming (SD is being phased out) and buy a programming package. That's a lot of work. BUT, I will have all my "regular" channels wherever I am. I do frequently find myself boondocking where I cannot get a broadcast digital signal at all. I may be able to get one if I change out the satellite dish to an amplified broadcast antenna, but my "boomerang" antenna (even with the amplifier) won't get me a signal sometimes. I do still have all the TV and movies I have stored digitally or even on DVD, but no up to the moment news ore current events coverage. Well, unless I can get an internet signal. And...sometimes I can't. The question is, "Is the cost and hassle worth changing the system over to newer technology?" I'm not so sure. It may be worth more to add an amplifier so I can pull in a better cell signal and use a WiFi hot-spot to connect to the internet at higher speeds for streaming video. There are lots of ways to get live TV that way. Of course, there has to be a signal to start with, but that's another story. I do have an unlimited data plan in 4G LTE so if I can get a good signal I should be able to stream TV well enough. And that's included in my existing cell phone plan. No extra costs there except the hardware to amplify the cell signals themselves. I am looking at around $400-600 to do that properly. It's a tough decision. While live TV is important to me, it can be replaced by better internet access. The cost up front for cell signal amplification is a bit higher than new satellite gear, but doesn't add a monthly cost. I have read lots of horror stories regarding starting and stopping satellite programming service, so that's a negative as well. Thankfully, I have the winter to make my decisions. What do you think? In my humble opinion, the internet is a better all around deal...for now. I'm leaning that way. We have faced many of these same dilemmas over the years. Now that we are full time we spent the money for an auto roof top dish and DTV Genie system. We have a Verizon plan for phone/internet, and a hot spot with a Wilson Sleek amp when we are in a fringe area. It was a big investment, but as full timers we felt it was worth it. One suggestion, maybe consider Sirius XM radio for current events/news, and a wide music selection. As a new customer, you should be able to get a radio and vehicle kit nearly free and some discount for the first year. We really like the sat radio as it works anywhere we can see most/some of the sky. Just a thought. If I was going to stay with Satellite, I would look at the lo profile versions of the autoseek/inmotion dish offered by a few companies. Either the 13" tall one or a phased array (much more $$$) but no real shadowing issues with my Solar setup. I have had XM for ages and use it all the time See: http://www.thewanderman.com/2015/11/how-to-cheaply-add-xmsirius-satellite.html. I like Wilson products...just so costly! first satellite TV - I have had DirecTV with an automatic dish on my roof for the 8 years of RVing. If you go satellite I would choose Dish over DirecTV, two issues - dish has a Dish for my RV program, DirecTV is a hassle to turn off and on, major hassle. Dish will give you both SD and HD programming on smaller/less expensive dishes than DirecTV. Sirius/XM radio is good but their pricing is strange. Hold out for discounts and do not buy an XM radio, buy a Sirius or Sirius/XM radio. XM receives signals from fewer satellites and gets interference from many more tall obstructions. We ditched satellite TV at our residence after the last fee increase - $100 a month for basic service on two receivers. Spouse thought she couldn't live without CNN and myself, the car hobby channels. Scouring the web we learned all about broadcast TV. After one month, didn't miss the satellite at all. Subtracting the redundant CNN stories, shopping channels and foreign language programming, we missed only a few shows. TitanTV.Com and TVFool.Com were 2 great resources for available channels and programming in any area in the US. We purchased an inexpensive digital converter box ($40) and connected a 1 TB USB external hard drive ($70) which gave us many hours of digitally recorded DVR capability. The $1200 we would've paid the satellite provider each year now goes toward months of camping fees and expenses. We're happy with our decision but we seldom boondock with our RV. Thanks for the info. I already have multiple XM/SIRIUS receivers, so the add-on one was very inexpensive per month. Dish VS DirecTV is another matter. I have heard horror stories about both of them! I like Satellite TV, but am currently leaning toward Internet based solutions for broadcast TV and even some premium channels. I think you may be onto something! The more research I do, the better the cell signal/4G LTE amplifier and internet TV are looking. I am not a fanboy for satellite, the cable/satellite providers all sell the same product so they compete in three areas: price, service, and availability (cable providers often have a lock on certain areas). They all do service badly which is strange since it is often the only distinguishing factor for selection. If the horror stories you have heard is about availability and quality of signal they are over blown. Weather can affect satellite reception but my experience is that it is a non-factor because it occurs so infrequently. Once or twice a quarter for short periods of time. As for quality of signal I do not see a difference at all between satellite or cable. As for linking your satellite if ou ask for a site that is satellite friendly you can often get a good link. We always get satellite reception unless we are staying at a site that we know we will not get reception but have reasons that override the need for satellite. As for satellite versus streaming over the internet, I find that getting high performance internet access that will support streaming video is much harder than getting a quality satellite signal. Cost is a different matter. if you want a lot of different channels then satellite can be price competitive. If you only need access to a much more limited set of channels than streaming can be more price competitive. I agree with you about the truth regarding signal degradation. That's not the horror stories I refer to. Mostly it's billing and/or "turn on/turnoff" service temporarily. Seems like a big hassle for a few times a year. We also bought our used RV with Sat TV already installed. After 2 years of camping in the RV, the Sat TV has only seen marginal use. This has been mainly due to poor or no reception. Doing most of our camping in places east of the Mississippi, the sites are usually in the trees. This makes Sat reception iffy at best. We've also had to call customer service repeatedly to start and stop service and get billing corrected. Bottom line- when the current Sat TV setup is no longer supported, we will not upgrade. Rather we will make do with the other options you mentioned. I agree! trees and even some rain/weather will degrade satellite signals quite a bit. Question: Why are an RV and a good book much alike? Answer: Both can take you to wonderful places. The motorhome takes you physically and the book takes you mentally! PS: I'm currently in my 21st year as a full-timer. I have around 10,000 books in my collection (not on the RV!!) and carry about the same number on a portable e-reader. I love to read! But sometimes, I'd like to watch a movie or see some current news. Especially when i am boondocking for a while. I love watching TV and the best investment I made was an auto dish from RF Mogul. If I change companies eg dish to direct it is minimal cost to change the dish over and the control box is updatable using a USB stick. I also enjoy my XM in the RV and installed a residential style antenna at the same time the dish was installed. As for satellite TV..the technology for the dishes and receivers has come a long way, but the pricing is getting prohibitive, especially if you only use it sporadically, like I will. As an IT professional who cut out cable 10 years ago, I have not missed cable or satellite content for that time. If you are willing to wait a bit, more or less everything comes around to streaming eventually. 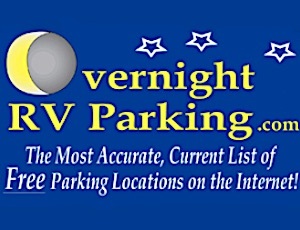 As someone who started to full-time in a motor home back in April, I have consulted this web site: https://www.rvmobileinternet.com/ as an invaluable source of the latest, best information about staying connected and accessing entertainment. They offer general information for free and details by subscription. I have found the subscription entirely worthwhile, many times over. Good luck! When we went full-time in 2003, we had MotoSat/Datastorm satellite for Internet only. We had Internet wherever we were. TV was always over the air or sometimes a cable connection at an RV park. The dish went in the dumpster in '09 when expensive upgrades were needed, sort of like your tv satellite issue. Cell service had improved by this time and is continuing to get better all the time. Data limits need to be factored in your decision. If I ever wanted a TV satellite system, I'd probably go with a portable dome. As a confirmed geek, I am way leaning toward the internet access solution. Since my connectivity is based off an old unlimited plan it makes the most sense. I spend the winters in Baja where the US satellites don't work well. Thinking about getting Shaw through a Canadian friend as their satellite has better coverage. Just FYI. As for streaming internet that would be my first choice too but I have T-Mobile with unlimited Binge On which I connect to my Apple TV and it is wonderful if I am in a 4G LTE area but even then it's not guaranteed that my Netflix will play and I have yet to get Hulu to play. Bottom line there is no 100% perfect solution for mobile streaming internet IMHO. Running around Washington, Oregon, California, Nevada and Utah, I've learned this. Cell coverage is good, AS LONG AS YOU ARE ALONG A MAJOR HIGHWAY. I have DishTV, with the Winegard Trav'ler dish on the 5th wheel for the last 6 years. Works. SD, HD, same programming as I have at the house. You are most correct, I will have to take a signal reading at all my boondocking locations before a final decision is made.